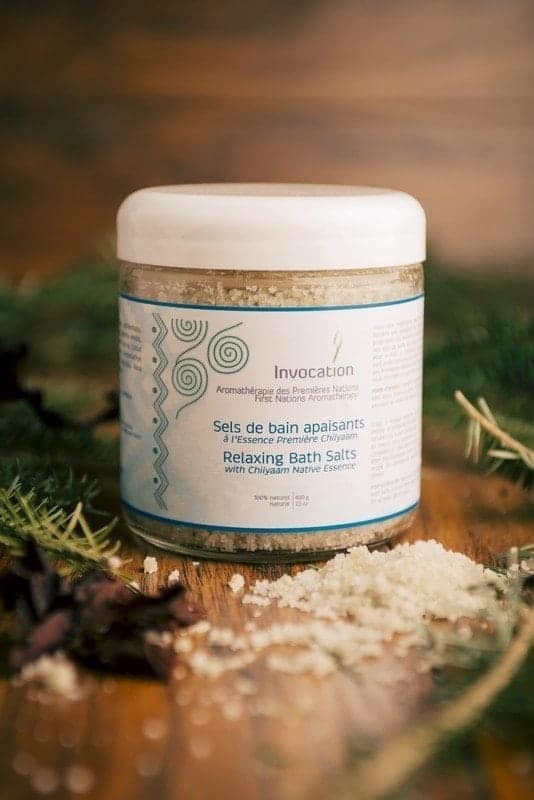 INVOCATION’S CALMING BATH SALTS is a unique product in its category with its 100% natural high quality ingredients. The Native Essence CHIIYAAM which has infused the bath salts, is guaranteed to bring you deep soothing effects while eliminating body toxins. These sea salts are therapeutic. They act simultaneously on the olfactory system and through interaction with the skin. 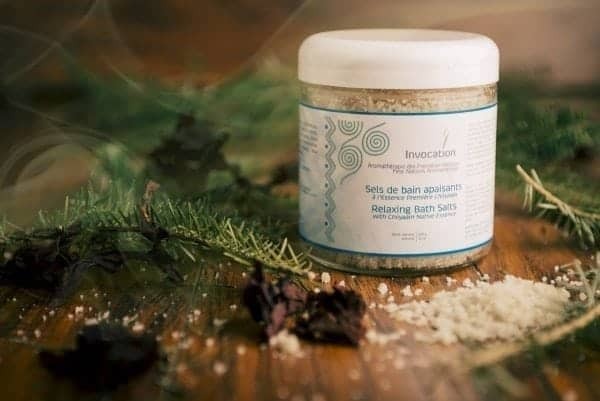 THE CALMING BATH SALTS with the CHIIYAAM essences were created by Blue Eagle, an aboriginal shaman for whom the five elements composing the Universe have great importance. These have inspired the five elements products, which are offered separately or in kits. In addition to contributing to the detoxification of the body, bath salts will deeply purify with the native essence CHIIYAAM thanks to its unique fragrance that products a direct purification action. It will renew a person’s energy. It has been know to purify traumatic cellular memory when used several days in a row. Pain in the muscle and bones are also alleviated. THE CALMING BATH SALTS are handcrafted and prepared in small quantities, in the same expert ways as our other products. They are the result of thoughtful care that guarantee powerful results. 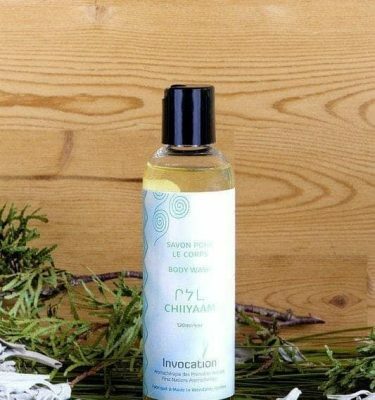 We use gray sea salt from Brittany, jojoba oil and the concentrated essential oils which compose the native essence CHIIYAAM. These are 100% natural ingredients, from organic agriculture or respectfully wildcrafted. The CALMING BATH SALTS ingredients combination creates a special synergy in which all the ingredients are transcended. The Brittany gray sea salt cleanses the skin, and is a great natural exfoliator that helps eliminating subcutaneous toxins. Jojoba oil refreshes and nourishes the skin, soothing it to make it beautiful. 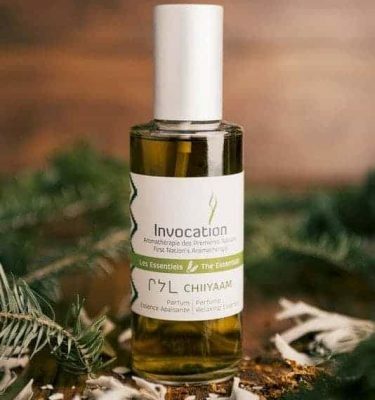 The therapeutic and purificatory effects of the Chiiyaam fragrance is internationally renowned. 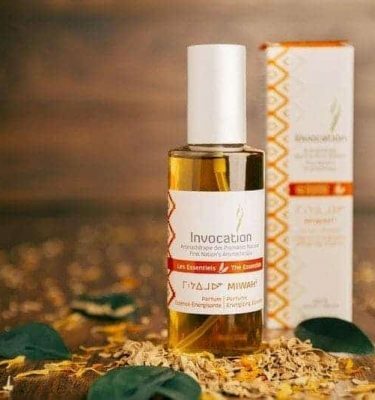 This Native essence helps relaxation and purification. It soothes and relieves tension : the water energized by the salt gives the momentum to surrender to the blessed waters, feel blessed by Mother Earth and confident in life. 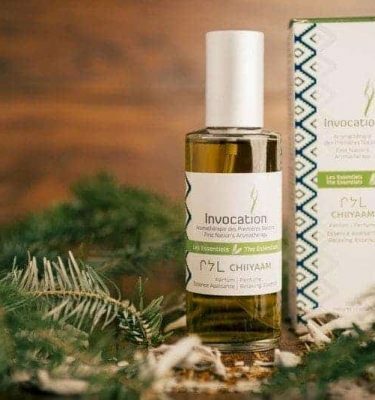 The use of the CALMING BATH SALTS with the CHIIYAAM essence is the opportunity for a great transformational experience because of its relaxing and purifying attributes. Experiencing this is very easy : pour 2 tablespoons (30 gr) in the bath; then relax in it for 20 minutes. For a complete treatment, it is indicated to do it 7 days in a row. Possibility of foot bath treatment 3 weeks in a row with 1 tablespoon of salt/ basin. 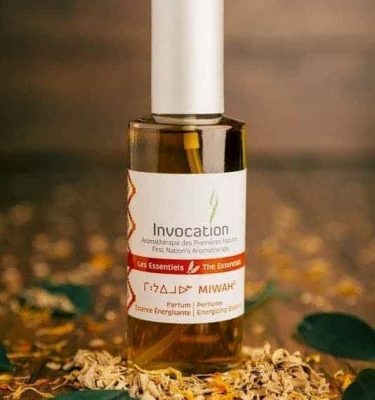 Maris sal* (Salt), Simmondsia chinensis oil(Jojoba seed Oil), Thuja occidentalis*( White cedar), Lavandula hybrida (Lavandins), Citrus reticulata (Mandarin), Mentha viridis* (Mint), Tsuga canadensis* (Hemlock) , Rosmarinus officinalis* (Rosemary), Salvia apiana* (White sage), Cistus ladaniferus (Gum rockrose), Boswellia carterii (Frankincense), Santalum album (Indian sandalwood), Nardostachys jatamansi (Spikenard), Juniperus communis* (Juniper), Artemisia tridentata* (Sage), Rosa damascena (Rose), Hierochloe odorata*(Sweet Grass). – Detoxify the body in 20 minutes. – Deep purification and profound relaxation. – Resolves recent,ancient muscular and articular tensions. – Leaves a silky skin without greasy film. – Restores our energetic fields. – Pour 2 tablespoons (30 gr) in the bath; then relax in it for 20 minutes.